VALLAVA GRAPHIC MACHINERY, Experienced engineers, Dedicated team, Innovative designs and heavy duty constructions make sure consistent high quality Printing & Binding Machinery manufacturer with the internal strength of BALAJI GRAPHIC MACHINERY Co. which from 1998 has been striving to offer 45 different types of excellent Printing Industries machinery & services, to more than 250 valued customers for achieving their entire trust by our sales & service network with our leading business associates in bulk stationery machinery manufacturers in India. Standing on the gamut experience & ground of customer exact needs, we are coming out with the most precious machinery manufacturing unit in Vasai Mumbai India, manufacturing Printing, Binding & Bulk Stationery segment allied machineries with the deepest oceans of our experienced engineers. We always have a positive response to receive your requirements, from your esteemed organization. 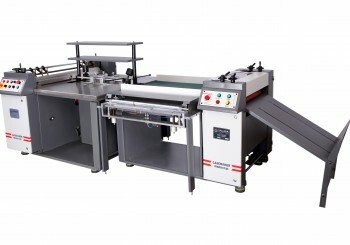 Vallava Graphic Machinery established in 2012, are sole etc.